A fast, flexible way to keep rural communities connected. One of EE's biggest challenges is connecting rural customers. The UK network's 4G coverage is slowly improving, but there are still countless subscribers stuck in so-called "notspots." To help, EE is working on drones, balloons and trucks that can provide temporary access in a pinch. They'll never replace a traditional base station, but in the case of an emergency -- a flood or severe power outage, for instance -- they could offer a crucial line to the rest of the world. In the future, these "air masts" could also provide ongoing internet access, similar to Alphabet's Project Loon, while EE wrestles for planning permission to build new, permanent network hubs. At the moment, all three solutions are in a patent-pending prototype stage. 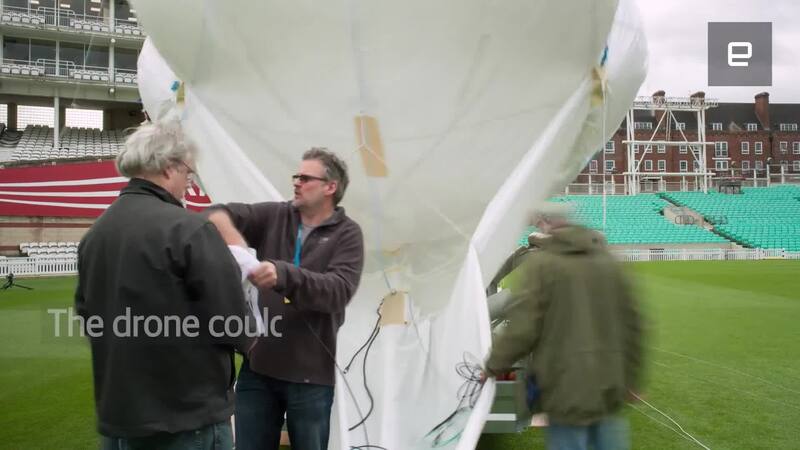 The largest and most impressive is a kite-balloon hybrid developed in partnership with Allsopp Helikites. It's tethered to the ground, so unlike Project Loon it can't surf the skies and perform cross-country routes. The connecting line does mean, however, that it can be sent up in tricky weather conditions, and leverage the wind for stability and lift. The balloon contains a 5 watt small cell solution provided by Nokia. It uses a satellite connection, managed by Avanti, to provide 4G coverage (tested up to 50mbps) to nearby EE customers. The network provider is also working with Parallel Wireless on a "meshed small cell solution," which allows a connection to "hop" along multiple EE balloons and other infrastructure sites. Such a system would only be used for the most far-flung locations, however, or when a satellite connection isn't available. 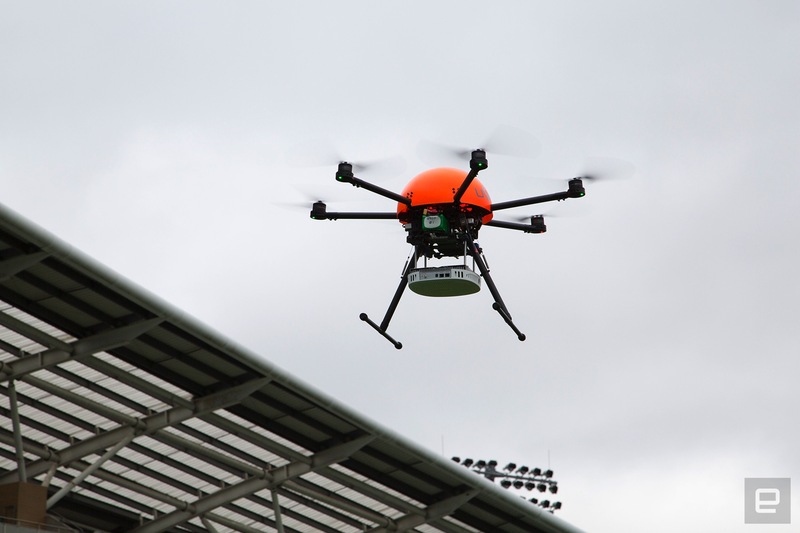 EE's modified drone uses similar network technology. The six-blade copter, provided by Uvue, is smaller than the balloon and therefore limited to an hour in the air. The upside is that it's faster to deploy and simpler for engineers to manoeuvre. EE hopes that it will be used by the emergency services, for instance in search and rescue missions, to quickly relay information between teams. In the future, EE chief executive Marc Allera thinks it could be used to deliver 4G connectivity "on demand" too. If you're kayaking down a river, or surfing on a remote beach, the idea is that you could summon a drone to stream some video to your friends. "What if an event organiser could request a temporary EE capacity increase in a rural area, or a climber going up Ben Nevis could order an EE aerial coverage solution to follow them as they climb? We need to innovate, and we need to think differently," he said. 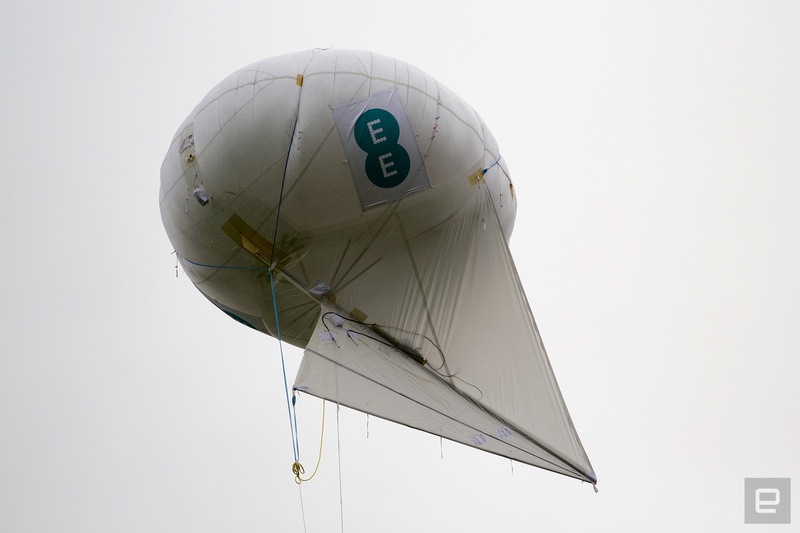 EE is confident in the technology, but admits that both its balloon and drone prototypes need regulatory approval first. 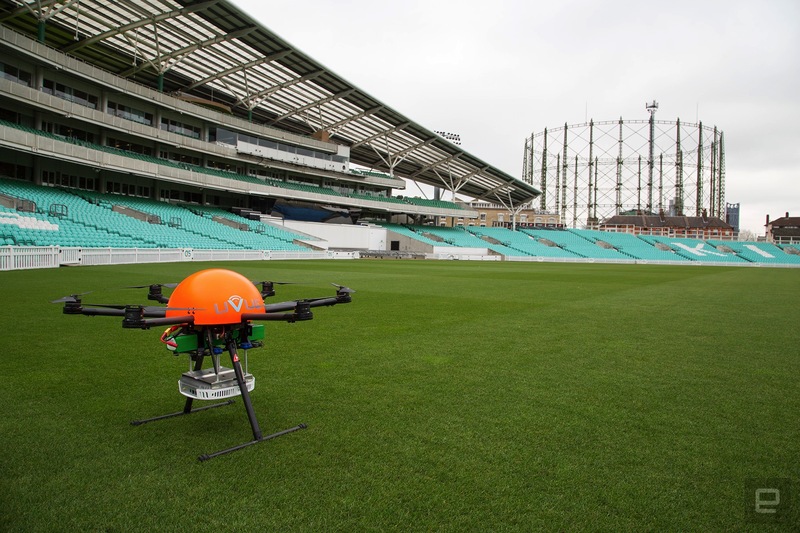 The balloon model should be easier to get off the ground, one spokesperson said, because it's tethered, while the drone model will require discussions with both Ofcom, the UK's media regulator, and the Civil Aviation Authority (CAA). 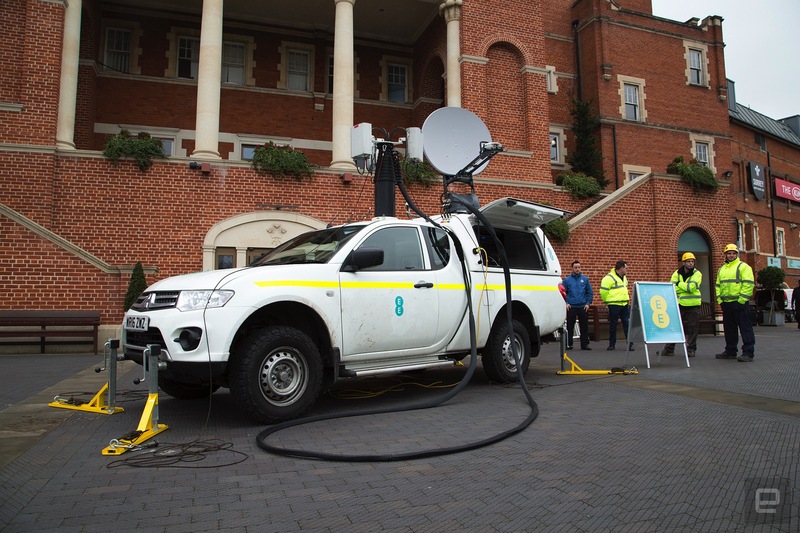 At a showcase event in London, EE also unveiled a rapid response vehicle (RRV) for the emergency services. Thirty-two of these are being built to support the ESN (Emergency Services Network), a lucrative government contract which EE won in 2015. Based on a Mitsubishi L200, these rugged off-roaders contain a satellite and an extendable mast on the roof. They can be set up in 30 minutes and provide coverage for up to 10 kilometres, depending on the geography and the strength of the satellite link. The custom trucks are being tested now and will be live, according to Allera, "within the coming weeks and months." A balloon will be deployed "within the year," followed by a broader range of aerial solutions "for coverage and capacity" within the next three years. It's an ambitious goal, given no other network has come close to deploying this sort of hardware in the sky. A mixture of all three could finally fix Britain's 4G "notspots," both for emergency services and the average Joe trying to refresh Twitter.